Stainless Steel "D" Style Sanke Coupler is the probe that contacts beer is made from durable 304 stainless steel. 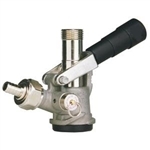 It features a high-capacity pressure relief valve that is build directly into the coupler body. 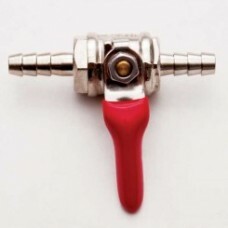 When functioning with other relief devices in the system, it will prevent a keg from reaching pressures in excess of recommended working pressure. Also, it allows the user to relieve pressure when needing to prevent or correct dispensing problems. The pull lever handle is black and controls the flow of gas; up position is off, down position is on. 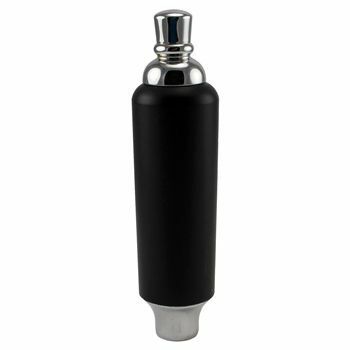 Coal Black badge holder tap handle made by Krome Dispense. This decorative handle measures 6 1/2" in height and weighs in at a discrete 8oz. Fits all standard North American taps. Using this particular tap handle allows you to use your own graphics and badges allowing you to easily identify different beers on tap with a glance. Eggshell White badge holder tap handle made by Krome Dispense. This decorative handle measures 6 1/2" in height and weighs in at a discrete 8oz. Fits all standard North American taps. Using this particular tap handle allows you to use your own graphics and badges allowing you to easily identify different beers on tap with a glance. Chrome plated brass Y splitter base. 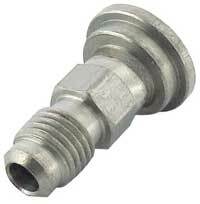 1/4" NPT right hand thread connects to your regulator. Easily configurable to anything you can think of. Handy unit for dispensing your commercial draft kegs. Stainless Steel construction means this will last for years. Easy to use and easy to clean. Stainless Steel American Sanke Connecter attached to a 8 inch pump with a handy cobra tap for dispensing. In line ball valve for both gas or liquid lines. FDA approved Beer industry standard washer. This washer fits hex and wing nuts and eliminates leaks. This washer has multiple uses in your Kegerator. It stops leaks between your beer faucet and shanks. 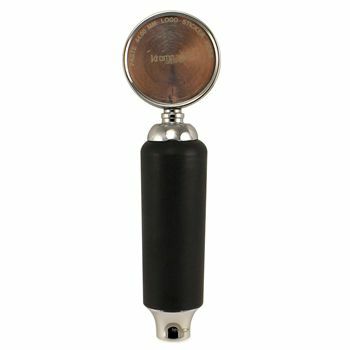 It is the washer that goes on the beverage side of keg couplers. Also used where your shank attaches to your beverage line. This Drip Tray is a part of our premium drip tray line offering commercial grade quality, a strong durable design, and a beautiful finish. This drip tray is of the wall-mounted variety with a keyhole design for easy installation and removal. Cut out drip tray! 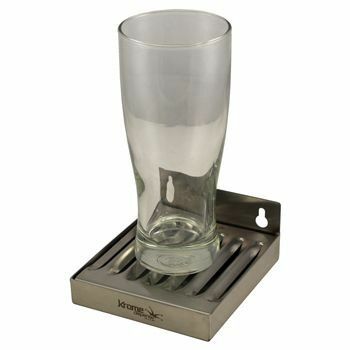 This product is for your 3" beer tower.12" X 7" X 3/4" depth surface drip tray. 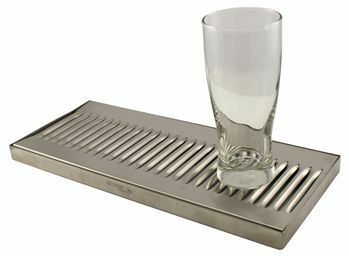 Beautifully brushed finish gives this drip tray a classic look. Made of stainless steel, this tray boasts a 1.2mm solid construction and is easy to clean. A great fit for any of our 3" column beer towers! This Drip Tray is apart of our premium drip tray line offering commercial grade quality, a strong durable design, and a beautiful finish. This drip tray is of the surface mount variety which is ideal for setting up under your beer tower to catch drips and over pouring. This Drip Tray is part of our premium drip tray line offering commercial grade quality, a strong durable design, and a beautiful finish. This drip tray is of the wall-mounted variety with a keyhole design for easy installation and removal. 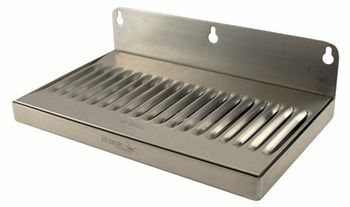 This model does not have a drain, however it is designed to be able to easily remove the tray, making cleaning a breeze. The dimensions of the tray are 4"x4 1/2"x3/4" with an ample 1" backsplash. Perfect for including in your draft or kegging kits. Stainless steel construction with removable tray. We tape in 2 screws for customer convenience. FDA approved Beer industry standard Beer Nut. 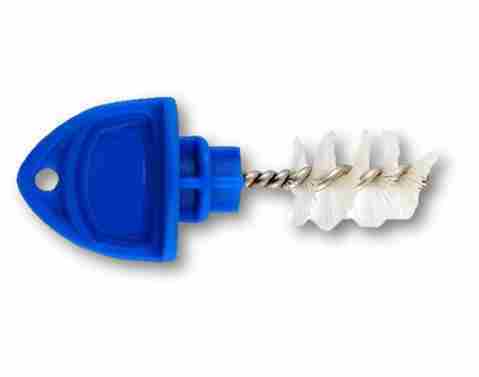 This Beer Nut fits all American standard shanks and faucets. Chrome plated. 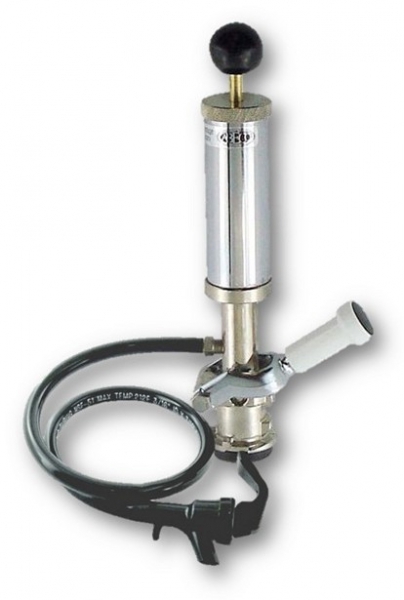 This Growler Filler includes an Intertap Growler Filler Spout, as well as 1' of 1/2" clear plastic tubing. 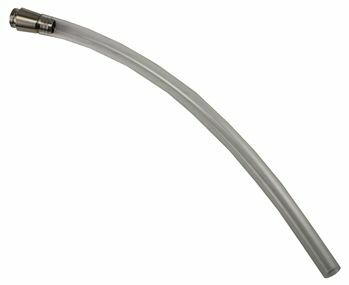 The Growler Filler Spout has a 1/2" (13mm) barb which you can attach some hose so you can fill your growler from the bottom up to minimise foaming. Note: This item is the Growler Filler Spout and tubing only, it works ONLY with the Intertap line of taps. 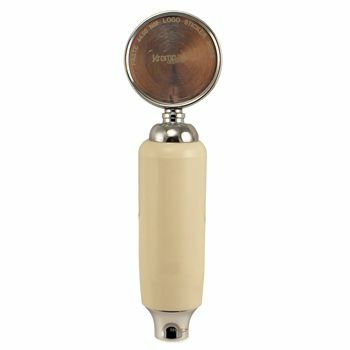 Pump Body no- spritz seal makes positive contact with keg valve prevents spritz from too much pressure in keg. Easy to clean, just rinse and re-assemble. Sturdy, won t crack or break in normal usage. FDA approved Beer industry standard 1/4"OD Tail Piece. This Tail Piece fits perfectly in Hex Beer Nuts. Used for couplers, shanks, and faucets. Tap Handle: Coal Black 5"
Coal Black tap handle made by Krome Dispense. This decorative handle measures 5" in height and weighs in at a discrete 6oz. Fits all standard North American taps. Using different tap handles allows you to easily identify different beers on tap with a glance.